Home » Computers & Softwares » Would you rather Buy a HP Spectre Laptop with a 9.5hrs Battery life span? Would you rather Buy a HP Spectre Laptop with a 9.5hrs Battery life span? HP Spectre News: HP is about releasing a new beast into mother earth and this is something i think would spark alot of attention from HP lovers world wide. Have you ever wondered what the world's thinnest laptop would look like? Yea! you got a clue right? 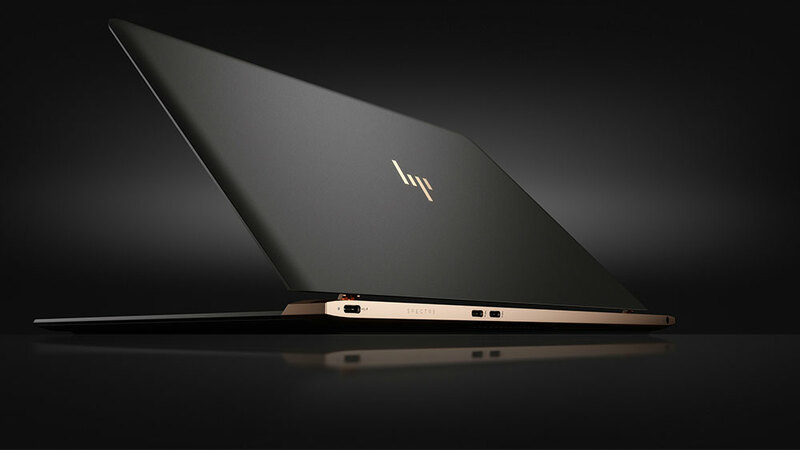 i think HP is about setting a new revolution for other brands to follow with the about to be launched HP Spectre Laptop with a batter life span of approximately 10 hrs. The month of April has been a very busy month as new technology have been seen flying round the internet. 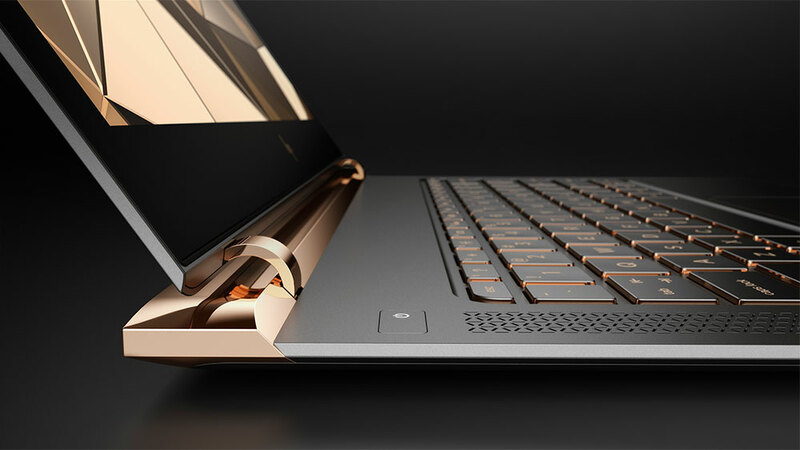 The HP Spectre laptop comes with a copper design combined with carbon fibre that gives the laptop a premium look.Sure everyone is gonna like a laptop that comes with a great styling.The Technology giant HP has launched Spectre, touted as the world's thinnest laptop. The laptop is as thin as an average index finger. Spectre measures 10.4 millimetres (0.41 inch) at its thickest point, this makes it slimmer than the 12-inch MacBook (0.52 inches) and MacBook Air (0.68 inches). This laptop weighs 1.11kg only. 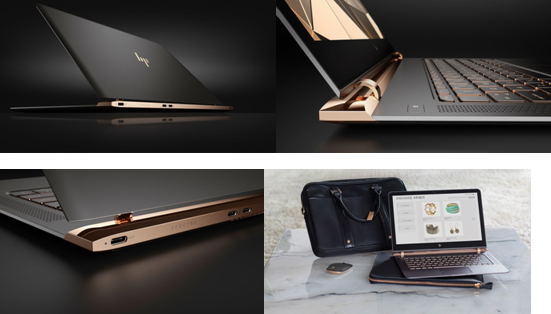 Another USP of the laptop is its copper design combined with carbon fibre that gives the laptop a premium look. It features 13.3-inch full HD screen with Corning Gorilla Glass. It runs on 6th generation Intel Core i5 and i7 processors. A hybrid battery that lasts up to 9.45 hours on a single charge, according to the company. The laptop includes 3 Type-C USB I/O ports. The New HP Spectre will be available in Nigeria starting May. This laptop is gonna sell for $1169.99 dollars and that is about N234,0000 in Nigeria. Did i just wet your taste for this new gadget? Alright! so many good specifications for the Laptop. I think i am kind of interested in this laptop as a result of the 9.5 hours batter life. You know how far that can go if you are in Africa. That would be a No light, No Problem slang.Game freak would love this laptop since it has a good storage and memory space. Let me hear what you have to say... Use the comment box to share your idea about this soon to be released gadget. Seems like a book. Believe me this laptop is very awesome. Tecno Camon CX Features; Is It Really A Beast As They Said?